Thomas Pesquet is a European Space Agency Astronaut of French nationality and a former aerospace engineer and airline pilot. 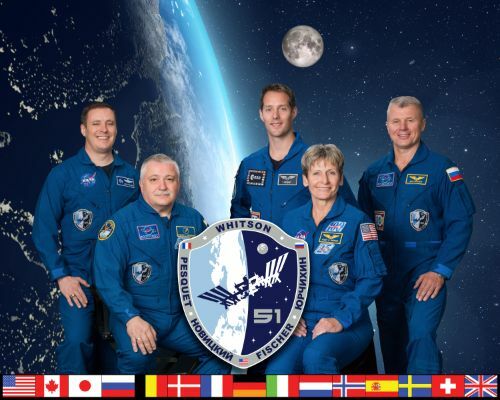 Pesquet is the last of ESA’s 2009 astronaut group to fly to space, set for a six-month mission to the International Space Station in 2016/17 as part of Expedition 50/51. Pesquet, born February 27, 1978 in Rouen, grew up in Dieppe, a coastal community on the English Channel. He graduated from the Lycée Corneille in 1998 and earned a Master’s degree from the National Higher School of Aeronautics and Space in 2001, majoring in space systems and space vehicle mechanics. For half a year in 2001, Pesquet worked as a trainee engineer at Thales Alenia Space, France before transitioning to GMV S.A. in Madrid, Spain where he worked in spacecraft dynamics. 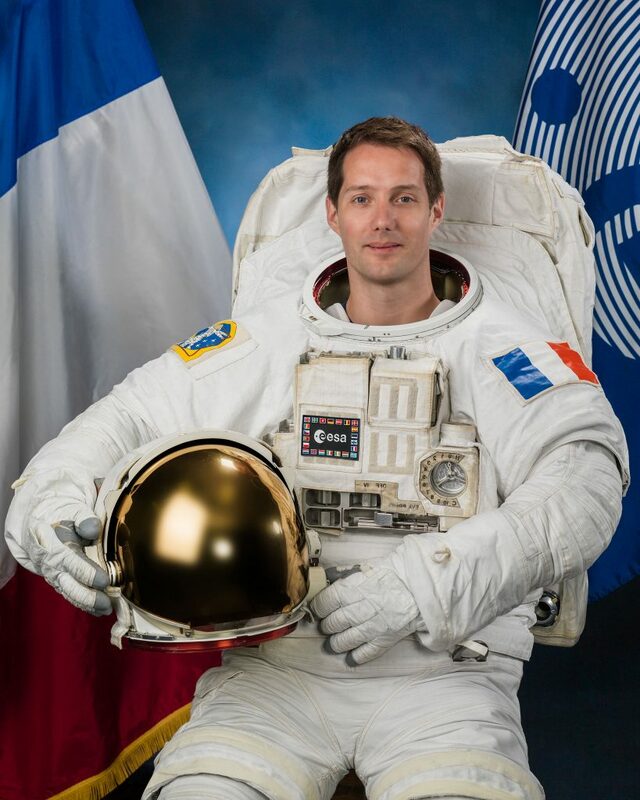 From 2002 to 2004, Thomas Pesquet worked at the French Space Agency CNES as a research engineer on space mission autonomy before enrolling in the Air France Flight School to become a pilot. He received his Airline Transport Pilot License-Instrument Rating in 2006 and began flying the Airbus A320 aircraft. Until his selection as astronaut candidate, Pesquet logged over 2,500 hours flying different airliners and working as instructor on the A320, also specializing in Crew Resource Management. Pesquet is a member of the French Aeronautics and Astronautics Association and American Institute of Aeronautics and Astronautics. Selected as one of six new ESA astronauts from 8,407 applicants, Pesquet began astronaut training at the European Astronaut Center, Cologne, Germany. As part of initial training, he and the rest of the 2009 ESA Class, informally known as the “Shenanigans,” completed a general training course at EAC, Johnson Space Center and the Gagarin Cosmonaut Training Center. In November 2010, he completed basic training after two months of training in star city to learn the Russian language, get familiar with the Russian segment of ISS and the Soyuz spacecraft and Sokol suit. In 2011, Thomas Pesquet was part of a group of international Astronauts/Cosmonauts participating in a training exercise working in caves to acquire skills for completing tasks in extreme environments. In September 2013, Pesquet supported the NEEMO-17/SEATEST II (NASA Extreme Environment Mission Operations) mission to the Aquarius undersea research laboratory. He served as a flight manager during the five-day expedition that facilitated a series of studies for future space exploration missions, simulating the life on a spacecraft and evaluating EVA technologies for future use in the space environment as part of a mission to the Moon, Mars or an asteroid. Pesquet returned for a second NEEMO assignment in July 2014 for a nine-day mission as aquanaut, living and working on the Aquarius located off the coast of Florida at a depth of 20 meters. 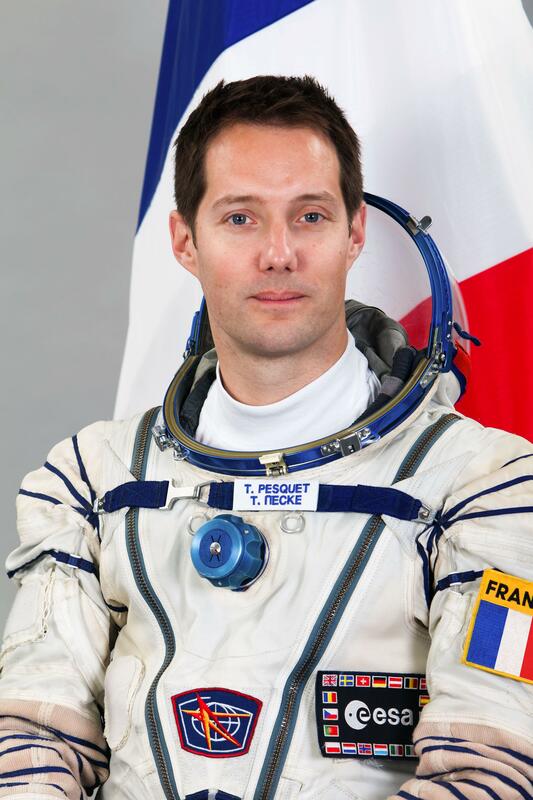 Pesquet’s first flight assignment was announced by the European Space Agency in March 2014, acting as a backup for ESA crew member Andreas Mogensen for a 10-day flight in 2015 and the Expedition 48/49 mission before a prime crew assignment for Expedition 50/51 in 2016/17. 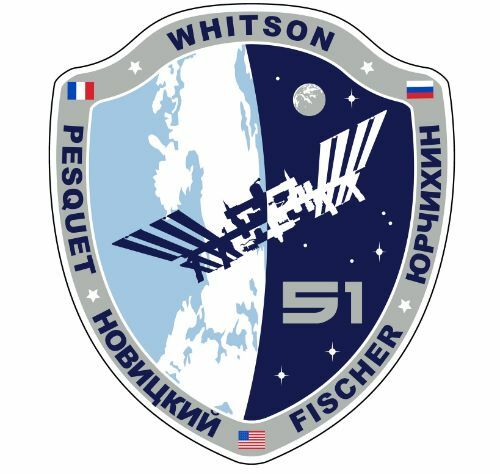 He entered flight-specific training operations at the various ISS partner agencies. At the Gagarin Cosmonaut Training Center, Pesquet completed extensive Soyuz training, learning about the different systems and their functionality to prepare for her role as Soyuz Flight Engineer. At the Johnson Space Center, he was familiarized with NASA Mission Operations and began extensive training for USOS operations including scientific activities, systems maintenance, emergency procedures and EVA operations. In Canada, at the Canadian Space Agency, he completed training for operations of Canadarm 2, training in Europe was dedicated to Columbus operations and in Tsukuba, Japan, he trained for Kibo module operations as well as HTV procedures. In August 2015, Pesquet passed training exams on the ISS and Soyuz simulator with Cosmonauts Oleg Skripochka and flight engineer Sergei Prokopiev. 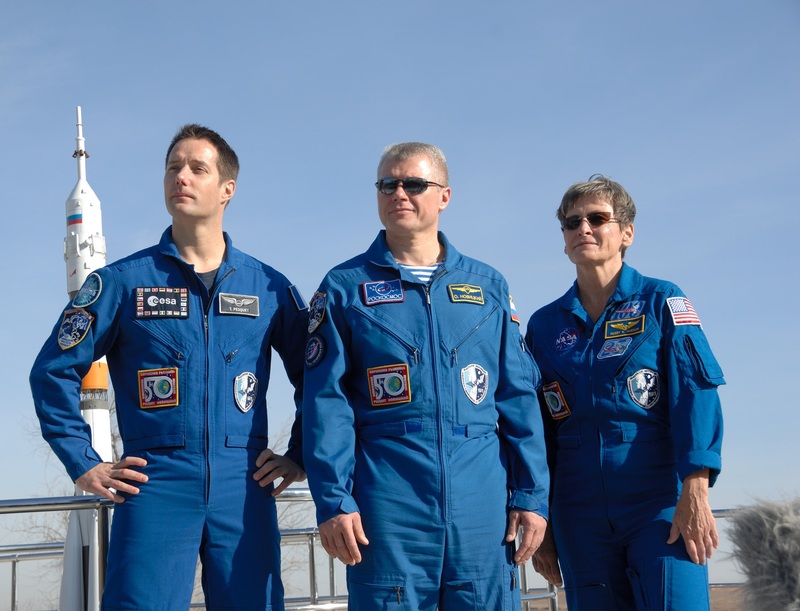 As part of his visiting crew backup assignment, Pesquet shadowed Mogensen at the Baikonur Cosmodrome leading up to a September 2 liftoff of the Soyuz TMA-18M spacecraft. He then joined his prime crew of Oleg Novitskiy and Peggy Whitson for flight training operations. In February 2016, the three crew members completed winter survival training in a forest near Moscow to prepare for the unlikely event of a Soyuz emergency landing in hard-to-access areas during the winter. The trio went through ISS and Soyuz exams as part of their backup assignment for the inaugural flight of the Soyuz MS spacecraft which ended up slipping to a July 7 launch date. With only four months between their backup assignment and actual launch date, the three crew members finished training operations at their home institutions before returning to Star City in October to once again complete simulator exams on Soyuz MS and ISS operations prior to flying to the Baikonur Cosmodrome for preparations for what is expected to be a mission of almost exactly six months. In his free time, Pesquet enjoys different sports, traveling and playing the saxophone. He holds a black belt in judo and is proficient in English, German, Spanish and Russian. Copyright © 2019 ISS Expedition 51 | Spaceflight101. All rights reserved.